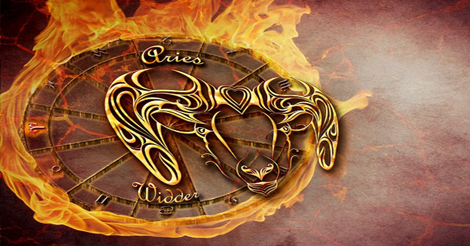 Mars in the 1st house for Aries Ascendant in Aries sign: Mars in the first house for Aries ascendant make the person courageous, ambitious and short tempered. Native will be action-oriented and will try to complete his work as soon as possible. They are strong headed and have good willpower. They have an athletic body and strong physique. Mars in first house give long life. Due to Mars aspect on the 7th house, native will have a difference of opinion with his wife. As Mars in its own house, a person reaches the highest position in service or business. Mars in ascendant gives leadership qualities. These person does not like interference and can’t take an order. Due to Mars lordship of 1st and 8th house and Mars is in the first house means the person have to undergo many transformative events which will change their life but will be ultimately for the benefit of the person. Mars in 2nd house for Aries Ascendant in Taurus sign: Mars is in the 2nd house in the Taurus sign for Aries Ascendant. The native will use all means to achieve wealth. They will also be boastful about their wealth. They are protective towards their family lineage and all will try to protect their family assets. As Mars represents brothers and is a fiery planet, the person can have a dispute with them due to family wealth. They are also chances of inheritance for Aries native due to mars presence in the 1st house. Mars is the 2nd house in Taurus sign indicates harsh language. These native are also full of life and can work tirelessly. Mars in 3rd house for Aries ascendant is in Gemini sign: Due to the presence of Mars in this house, the person will be courageous and strong will powered. They will be victorious and dominating over their opponents. Mars in 3rd house made the person a self-made man. There can be some dispute with brothers depending on the position of Mercury in Horoscope. The person will have good verbal and written communication skills. He will be writing blogs and will also have good marketing skills. The native will achieve everything in life through self-efforts. This combination also gives long life. Mars in 4th house for Aries Ascendant is in Cancer sign: Mars is in the 4th house in Cancer sign which is a debilitation sign for Mars. As Mars is debilitated in 4th house, it shows disputes with mother and harshness towards mother. There can be property disputes also and aggressiveness in the family. As the Mars directly aspects the 10th house, native can have a difference of opinion with the father. 4th aspect on 7h house indicates arguments and dominance struggle with the spouse. As the Mars being a lord of 1st and 8th house is debilitated it is showing struggle in the mother’s life and sudden events causing disruption in native’s family and mother’s life. As mars is debilitated, the person might get losses or dispute in inheritance. Mars in 5th house for Aries ascendant is in Leo sign: Its shows a person who is intelligent and active-minded. Native will have aggressive and competitive in studies. They will have an interest in sports activities and will also pursue some sport as a hobby. Mars in 5th house show dominance battle in love relationship. Mars aspect on the 11th house will make person wealthy. Mars position in the 5th house in Leo shows that the person will be full of vitality and life. In the female horoscope, Mars in 5th house shows some surgical involvement in childbirth. Mars being an 8th house lord indicates some sudden event disrupting education. Mars in 6th house for Aries ascendant is in Virgo sign: Mars in 6th house is in the sign of Virgo. Virgo being a sign of dispute it shows that the person can belong to law profession where resolving the disputes will be native’s daily activity. Native will be highly competitive and will have an edge in competition. As Mars is a fiery planet, this combination also shows someone related to sports activity. Mars in 7th house for Aries ascendant is in Libra sign: Mars in the 7th house in Venus sign indicates dominance and aggression in marriage. Native will be argumentative in marriage. Unnecessary issues will create problems in the marriage. The person is manglik. In marriage the horoscope matching is important. Native should control its temper for a better-married life. Mars in 8th house for Aries ascendant is in Scorpio sign: As the lagna lord is situated in the 8th house in its own sign, it indicates that the person has to go through a lot of transformative events in life. However, the sudden events and challenges will initially be unsettling but the native will come out as a winner. Mars in 8th house shows a person in research or a surgeon. If other combinations are favorable, then the person can be in a medical field. Mars in 9th house for Aries ascendant is in Sagittarius sign: Jupiter is a friendly sign for Mars so it shows good fortune for the native. The person will be headstrong and will have strong willpower. He/she will have his set of beliefs and the native will be rigid about them. The person will love traveling and will try adventurous sports etc. Mars in 10th house for Aries ascendant is in Capricorn sign: Mars is exalted in Capricorn and the lagna lord in 10th house will give good career success. This show a person with great leadership qualities and strength. Native will be action-oriented and try to achieve status in society through their actions. They will be highly ambitious. They will be law-abiding and will be disciplined. Mars in 11th house for Aries Ascendant in Aquarius sign: Now in Aquarius sign, Mars is an enemy house. Mars being an independent is not very comfortable working in large organizations. The native will try to take action but circumstances will ask him to slow down and have patience. Although Lagna lord in 11th house will push native for entrepreneurship and his entrepreneur activities will give him gains. Mars in 12th house for Aries ascendant in Pisces sign: Here the Mars is in friendly sign of Jupiter. This person will live away from their home and will reside in foreign lands. They will pursue spiritual activities. They can be work association with foreign companies and can also be police in some jail settings.